Out of 1716 Duelists, only 32 remain! New York’s Lenard Hill is piloting Mermails, and he’s up against Missouri’s Qi Hong Li with Mythic Dragon Rulers. Most of the other Mermail and Mythic Ruler Decks have been eliminated from the tournament, so this appears to be a Match of the underdogs! Hill started with Genex Undine. He sent Atlantean Dragoons to the Graveyard, then added Genex Controller and Mermail Abyssmegalo to his hand. He Special Summoned Abyssmegalo, discarding Mermail Abyssteus and Mermail Abyssgunde. He searched out Abyss-sphere, then Special Summoned Abyssteus back to the field. He Xyz Summoned Mecha Phantom Beast Dracossack and made two Mecha Phantom Beast Tokens. He Set two back row cards to finish. Li had Debris Dragon, 2 Soul Charge, The White Stone of Legend, Tempest, Dragon Ruler of Storms, and Trade-In. He used Tempest’s effect, discarding it and Debris Dragon, to add Mythic Tree Dragon to his hand. He played Soul Charge to revive Debris Dragon, then Normal Summoned Mythic Tree Dragon so he could Xyz Summon Evilswarm Exciton Knight! He activated its effect, and Hill Chained Breakthrough Skill! Hill flipped Abyss-sphere to bring out Mermail Abysslinde, and at the End Phase, Abyss-sphere and Abysslinde were destroyed. Hill Special Summoned Mermail Abysspike, discarding Atlantean Heavy Infantry! He added Genex Undine to his hand and destroyed Exciton Knight! Hill attacked with Undine, Abysspike, and Dracossack. Li had 1600 Life Points, and Hill Set a card to his back row. Li drew Blue-Eyes White Dragon! He discarded it with Trade-In, getting Bottomless Trap Hole and Blaster, Dragon Ruler of Infernos. He activated Soul Charge, dropping to 600 Life Points to bring back Tempest! He Special Summoned Blaster next, banishing Debris Dragon and Blue-Eyes. He Xyz Summoned Number 11: Big Eye, and stole Dracossack! Li used Dracossack to make two Mecha Phantom Beast Tokens, then Tributed one to destroy Abysspike. He Set Bottomless Trap Hole to finish. Hill played his second Undine, sending Tidal, Dragon Ruler of Waterfalls to the Graveyard and getting Genex Controller in his hand. He stacked his Undines for Leviair the Sea Dragon, but lost it to Bottomless Trap Hole! Hill pressed on, with Soul Charge! He still had 8000 Life Points, so he gave up 3000 to get back Abyssmegalo, Abyssgunde, and Abysslinde. He banished his Undines to bring out Tidal, then Xyz Summoned Number 11: Big Eye and Mechquipped Angineer! He took back his Dracossack, then used it to destroy Li’s Big Eye (If he hadn’t had a field full of Mecha Phantom Beast Tokens, he’d have taken the other Big Eye, then used it to take Dracossack. He just didn’t have room). Li drew Solemn Warning. He started making a play with Tempest, but realized he’d have no way to get through Hill’s field! Hill takes the first game, in a huge battle of back-and-forth! The Duelists moved to their Side Decks, hoping to gain an advantage. Li will need to win two in a row if he wants to remain in the tournament, while Hill just needs another win. Li began with Maxx “C”, Divine Wrath, Dragon Shrine, Torrential Tribute, Phoenix Wing Wind Blast, and Trade-In. He started with Dragon Shrine putting Flamvell Guard and The White Stone of Legend in the Graveyard, then putting Blue-Eyes White Dragon in his hand. He used it with Trade-In, drawing two copies of Debunk! He Set his Trap Cards, keeping only Maxx “C” and Phoenix Wing Wind Blast in his hand. Hill Normal Summoned Atlantean Marksman into Li’s Torrential Tribute. Li drew Tempest, Dragon Ruler of Storms. He Set Phoenix Wing Wind Blast. Li drew Tidal, Dragon Ruler of Waterfalls. He Special Summoned Tidal, banishing White Stone from the Graveyard and Tempest from the hand, and Hill Chained Maxx “C” to the effect. Li negated Maxx “C” with Debunk, then used Tempest’s effect for Debris Dragon. Li Normal Summoned Debris Dragon, Hill used another Maxx “C”, and Li used his second Debunk! Debris revived Flamvell Guard, and Li Synchro Summoned Crimson Blader. He attacked directly with Debris and Crimson Blader. Hill had Dark Hole! He had no follow-up, however. Li drew a second Maxx “C”. He revived Tidal, and Hill Chained his third copy of Maxx “C”! Tidal attacked directly, leaving Hill with 1600 Life Points. Hill discarded Mermail Abysslinde to activate Mermail Abyssteus, and Li negated Abyssteus with Divine Wrath. Hill Normal Summoned Genex Undine, putting Tidal, Dragon Ruler of Waterfalls in the Graveyard. He used Allure of Darkness next, banishing Genex Controller, then revived his own Tidal! Hill played Soul Charge to revive Abyssteus, and Li used Maxx “C” to draw Mythic Water Dragon. 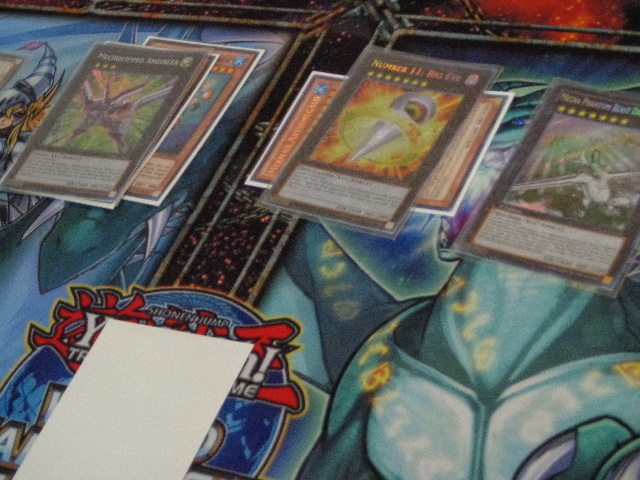 Hill Xyz Summoned Mecha Phantom Beast Dracossack, and Li drew Soul Charge. Hill made two Tokens, and Li then flipped Phoenix Wing Wind Blast to get rid of Dracossack! Li discarded Mythic Water Dragon for the cost. Hill Set a back row card. Li drew Skill Drain. He revived Special Summoned Blaster from his Graveyard, and Hill flipped Torrential Tribute to clear the field. Li used Soul Charge, reviving two Dragon Rulers, Crimson Blader, and Mythic Water Dragon! He Xyz Summoned Dracossack and Divine Dragon Knight Felgrand! He made two Tokens and Set Skill Drain to finish. 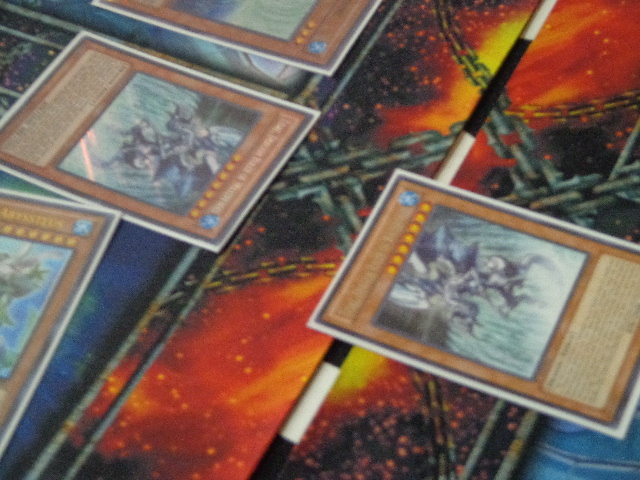 Hill destroyed Skill Drain with Mystical Space Typhoon, fishing for information about Li’s Deck. He knew he had no follow-up, and conceded! The score is even! It all comes down to this final Duel! Hill started things with Genex Undine, sending Atlantean Dragoons. He added Genex Controller and Mermail Abyssmegalo to his hand. He discarded the Abyssmegalo for Mermail Abyssteus, searching out Mermail Abysslinde. Soul Charge returned Abyssmegalo and Dragoons to the field, and he Xyz Summoned Mecha Phantom Beast Dracossack! He made two Tokens, then Set a spell or trap. Li had Torrential Tribute, Debunk, Ice Hand, The White Stone of Legend, Blaster, and Skill Drain. He started with Ice Hand, attacking Dragoons. Hill activated Breakthrough Skill on Ice Hand. Even though Ice Hand activates in the Graveyard, thus being essentially unaffected by Breakthrough Skill, Hill did it to clear his back row and prevent Ice Hand from bringing out Fire Hand. Li Set his Trap Cards. Hill used Allure of Darkness, banishing Genex Controller. Undine, Dragoons, and Dracossack left Li with 2000 Life Points. Li drew Maxx “C”. He Normal Summoned The White Stone of Legend, and flipped Torrential Tribute and Skill Drain! Everything was destroyed, including Dracossack! Li added Blue-Eyes White Dragon to his hand. He Special Summoned Blaster by banishing the same Blue-Eyes and White Stone, and attacked directly. Hill destroyed Debunk with Mystical Space Typhoon. He Special Summoned Abyssteus by discarding Undine, and Li Chained Maxx “C” to draw a White Stone. Hill Normal Summoned Genex Controller and Synchro Summoned Leo, the Keeper of the Sacred Tree! Li drew another Maxx “C”. Leo destroyed Blaster in battle, then Hill banished Blaster with Soul Release! Li got Flamvell Guard with Blaster’s effect, but he would no longer have access to the Dragon Ruler. Li drew Debunk and Set it, along with Flamvell Guard. Hill played Abysslinde. Leo destroyed Flamvell Guard in battle, clearing the way for Abysslinde to finish it all! Lenard Hill is moving to the Top 16 with Mermail!